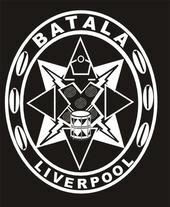 World wide network of Brazillian samba reggae percussion bands formed by Giba Gonzales of Salvador, Brazil. Community based and voluntary, the idea is to play good music, meet new people and enjoy yourself! The many bands come together several times a year to form one band for events such as the Salvador Carnival, Nottinghill Carnival and Fete De Le Musique.